Wishing everyone a very merry holiday! Written by Carson Ting. Posted on December 21, 2018. Filed under Drawings, Blogging. 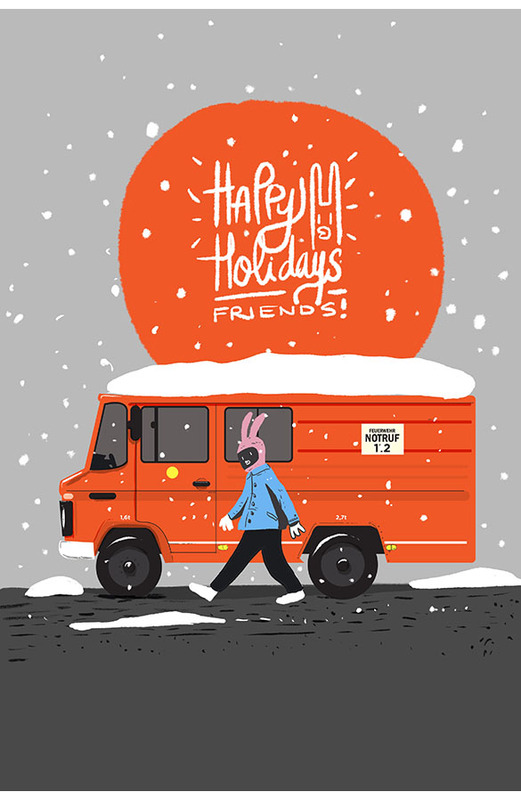 Tagged drawing, happy holidays, red truck. Comments Off on Wishing everyone a very merry holiday!. We can’t believe next week is Christmas already. That’s crazy. We’re closing the studio over Christmas but will be back on the 26th-28th and then back to regular hours from Jan 2nd onwards. Wishing everyone a very merry holiday and happy new year everyone!